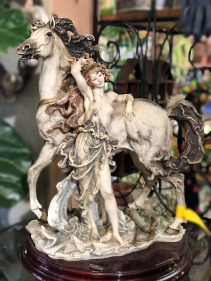 Original Florence Giuseppe Armani Horse and Maiden statue #79 of 5000 limited edition. 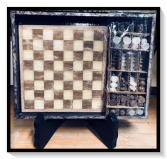 A beautiful 7 1/2" x 7 1/2" marble chess board. Perfect gift for a relaxing time and a little brain workout. With an elegant box and wooden upright easel. Beautiful fountain with a smooth decorative cut for water to fall into. 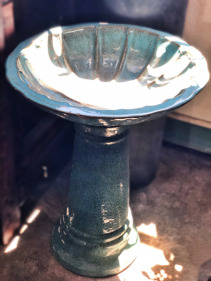 Perfect for a calm and soothing atmosphere to bring to into your home or patio. 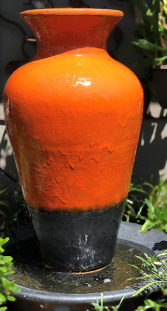 Approximately 20" x 29"
Captivating bright orange water fountain. Can bring light to any place with a tranquil sound to sooth. 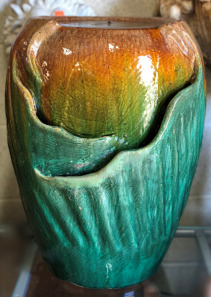 Can be placed inside to brighten the place or outside to show off it's orange grandeur. Approximately 18" x 39"
Flowers convey a message that cannot be put into words. GREEN FASHION NURSERY of San Mateo, CA provides a variety of fresh, fashionable floral designs to ensure that your gift is one of elegance and beauty. 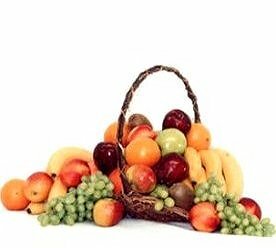 When you're looking for a unique hostess gift, token of appreciation or just a surprise to brighten someone's day, let GREEN FASHION NURSERY customize and deliver one of our many fun, decorative & luxury gifts! We create dazzling presentations that are sure to please for any gift-giving occasion. To get your custom gift items, come by and see GREEN FASHION NURSERY - your local San Mateo, CA florist.